As a student at the East Sydney Technical College in 1959 – 60, Colin Lanceley and his friends would play a game called Aesthetic Chess, making ephemeral table-top compositions using bus tickets, coins, lipstick, cigarettes and whatever they had in their pockets. 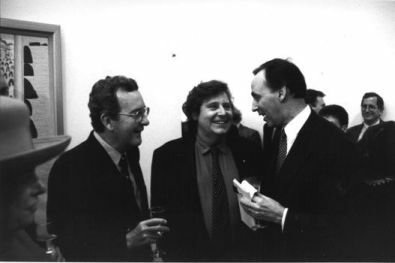 With two of these friends, Mike Brown and New Zealand-born Ross Crothall, Lanceley formed the Annandale Imitation Realists in the early 1960s and together they produced a provocative body of assemblages that drew on sources as diverse as the irrational spirit of Dada, contemporary popular culture, kitsch and their fascination with tribal art, that astounded and confounded audiences when they were exhibited in 1962. Lanceley used the wooden patterns, adding other found elements and sometimes painted colour, to produce a series of ambitious freestanding works that combined collage and sculpture on a large scale, and it was with some of these dynamic and utterly original works that he won the prestigious Helena Rubinstein Travelling Scholarship in 1964. Before leaving for Europe the following year he showed a group of these sculptures in a solo exhibition at Gallery A in Sydney. Atlas, 1965 was included in the exhibition and like other works from the period such as Icarus, 1965 (National Gallery of Australia) and Phoenix Among the Stars, 1965 (Private collection, Melbourne), took its title from Greek mythology, making reference to the Titan, Atlas, who, as a punishment from Zeus was forced to hold up the heavens for eternity. 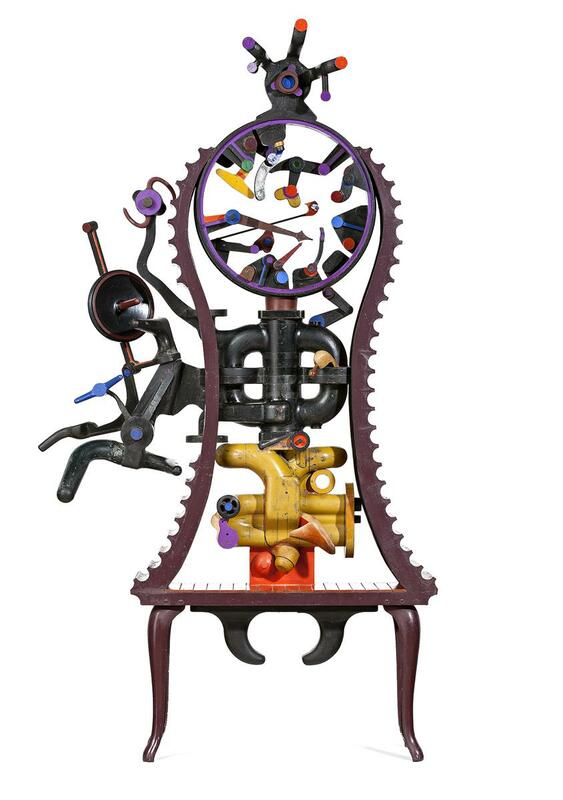 Perhaps alluding to the never-ending nature of his fate, Atlas is reminiscent of a clock, its face composed of a series of coloured dials and hands that have gone slightly awry, and the inner mechanics exposed within an elegantly curved body. Standing on the carved legs of a chair or small side table, Atlas is also a whimsical study of contrasts – solidity and air, order and chaos, the unfamiliar rendered familiar – that speaks to the pleasure Lanceley took in these materials and his joy of making.